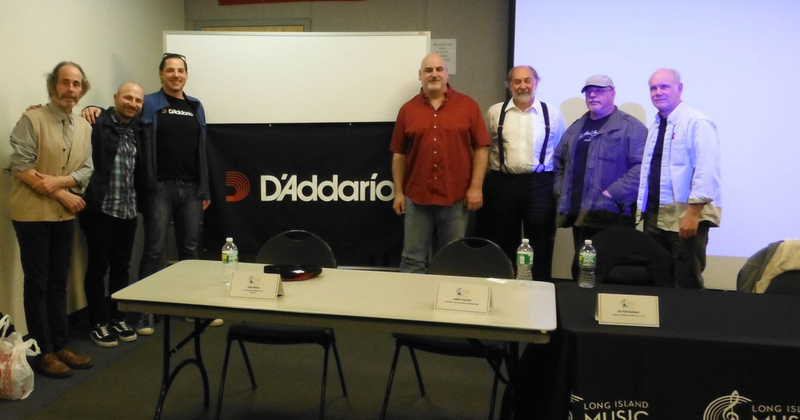 (April 20, 2016 – Melville, NY) This afternoon, The Long Island Music Hall of Fame (LIMHoF) was proud to present the second session of its 2016 speakers series, t at Stony Brook University, entitled “The Long Island Music Seen”. To a full classroom of students, music aficionados and established performers, the panelists shared their approach in how to take the next steps toward a career in music. Topics ranged from how to take your music and really make it your own through copyright and promotion, what to expect and prepare for when seeking a gig at a local venue, how best to present yourself to your fans and the music community and so much more. The 2016 LI Music Hall of Fame Speakers Series is sponsored by the D’Addario Foundation.